Snake River Village is just off of Highway 6 past Gateway Mountain Lodge. It’s nearly equal distance from both the River Run gondola and the Mountain House lifts. This complex features townhomes, each with a private garage and private laundry. It also offers two shared hot tubs for all guests and an outdoor seating area. This neighborhood is very walkable and the nearby Gateway Mountain Lodge houses shops and restaurants including Haywood Cafe and Serenity Spa and Salon. Located nearly equal distance between River Run Village and the Mountain House Base Area, you’re less than two miles from both the high-speed gondola and the lifts where you can enjoy skiing, snowboarding, tubing, mountain biking, hiking and gondola rides. The bike path runs south of Snake River Village and leads guests throughout the entire resort and Summit County. 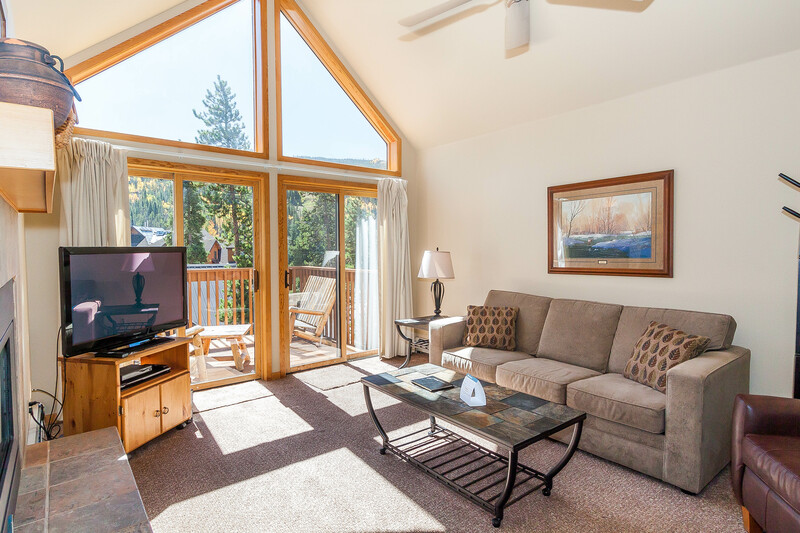 Easy access to Highway 6 that can lead you to the restaurants in nearby Mountain View Plaza or to Dillon, Silverthorne and Breckenridge. Spacious townhome with slope views from the balcony and living area. King bed in the master. 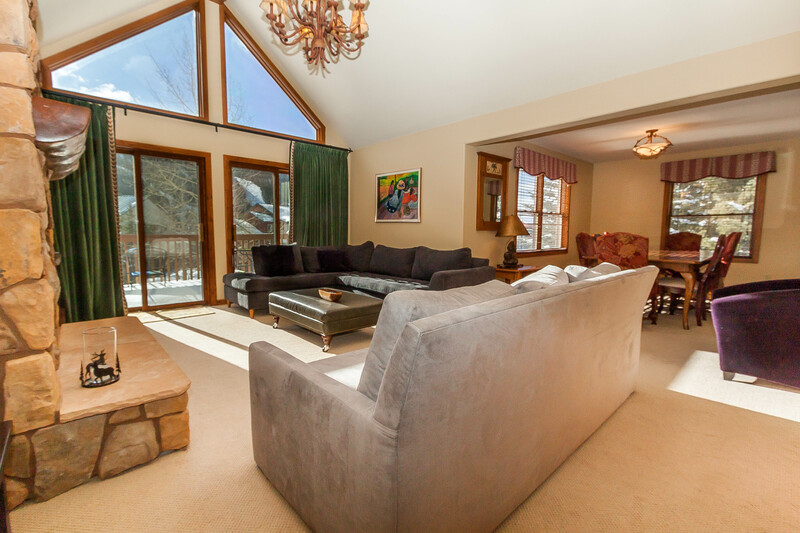 Private laundry, private garage and vaulted ceilings. Near shops and restaurants. Walk to gondola at River Run and lifts at Mountain House. Features a private deck with beautiful slope views and all bedrooms have private bathrooms. There's a recreation room in the basement, private laundry and stainless steel appliances in the kitchen. You're a short walk from nearby shops and restaurants.